Spray Moisturizer provides a reliable silicone solution with multiple application purposes. Formulated with specialized silicones in a silky smooth spray, this excellent product can be used to soothe irritated skin, rehydrate and invigorate dry and dull skin, form a protective film on which to base makeup or other skincare products, or condition, tame and style frizzy or unruly hair. or tacky feel. 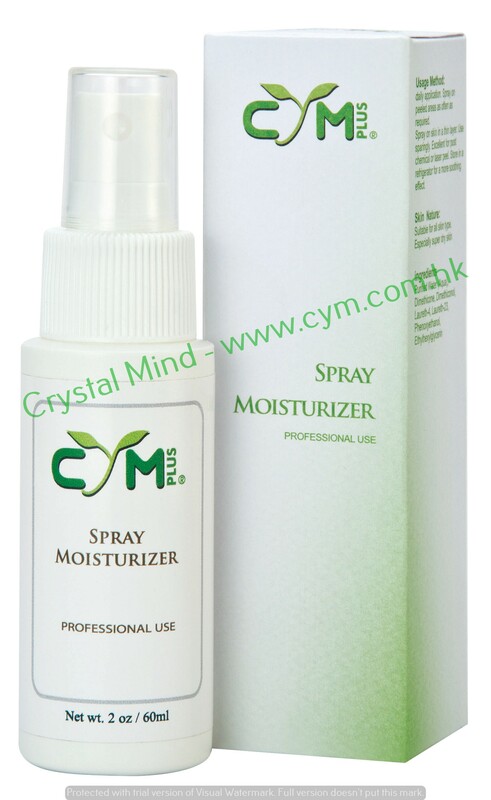 Spray Moisturizer is designed to enhance the conditioning attributes as a hair care solution. Developed to offer superior conditioning properties and enhanced stability, the unique structure of the silicone fluid also allows for greater stability in color fade resistance, or discoloration over time. Provides a soft silky feel and sheen. Can be used to condition and treat hair. Is not greasy and won’t clog skin pores. daily application. Spray on peeled areas as often as required. Spray on skin in a thin layer. Use sparingly. Excellent for post chemical or laser peel. Store in a refrigerator for a more soothing effect.